Rugby Bootroom: Rugby's flaw in logic. Crouch, Touch, Pause, Engage, Collapse. Rugby's scrum rules, have gone from the somewhat countdown, to the spontaneous "set". I think this has worked for the better. For a while scrums was the let down point of our game. This was becoming more of a problem and was reeking havoc to the flow, becoming a stutter in the attack. Something had to be done. That said there still is a problem with prop's binding and maintaining the scrum erect with loosehead's having nothing to bind onto, they're often left dangling. We have come along way from where we were 2 years ago. Now with more wins against the head, it has made the game more exciting and unpredictable. The lead up to the contact was before a countdown,but is now more of a competitive spring into the hit. Having props being on their toes and alert. Before, the hit was more of a swing into contact, rather than a spring from the legs and back. Therefore having more competition in the initial hit, than a drive. As before it was an impatient leg drive somewhat a swinging running motion into contact. This means that the old fashioned prop has to be less of an anchor for the first hit, and pretty much now to be a train going nowhere but forward. Traditionally props could play both positions. This is not the case now. Loosehead's have to be leaner, more steady in their core and legs. To have the ability to drive at an upwards angle, their necks strong, but relying more on the lower half of their body for stability and frame. 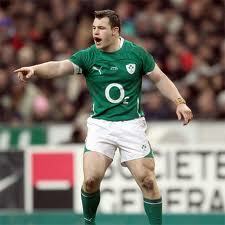 Tighthead's have to be filled out and broad at the chest, having a strong upper body. Being able to drive in a downwards angle. Being top heavy and still remain stable in the hips and legs. 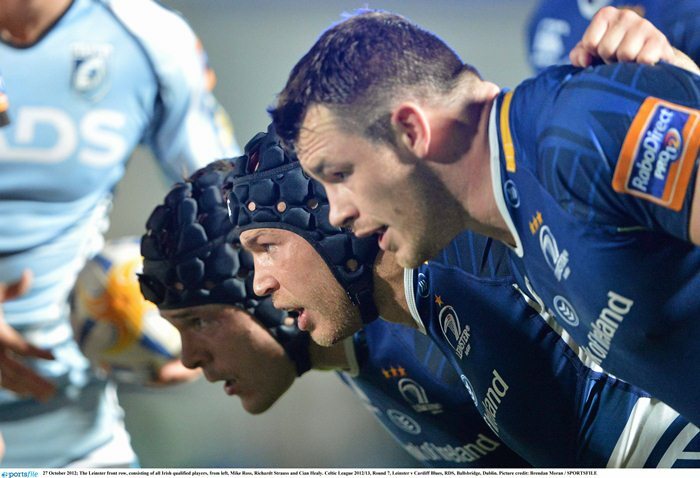 To put into perspective, Cian Healy weighs less than Mike Ross. If you were to compare these side by side. Healy has more thick, stable legs in proportion to his body, his chest wouldn't be as broad as that of Ross, or his shoulders. There is more of a slightness to Healys neck, this being in effort to prevent injury to his neck and the upwards motion. 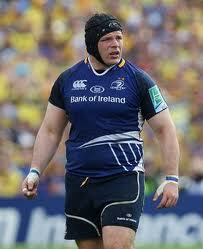 Ross is alot more square at the neck, having bigger arms, to motion the loosehead down. These two players are ideal examples of how the structure of the front row should be.